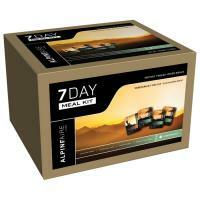 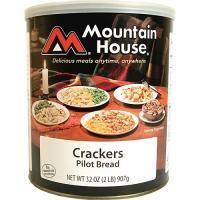 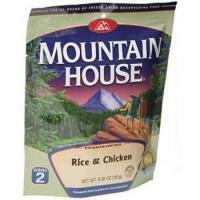 Kit contains 6 different, individually packaged MREs. 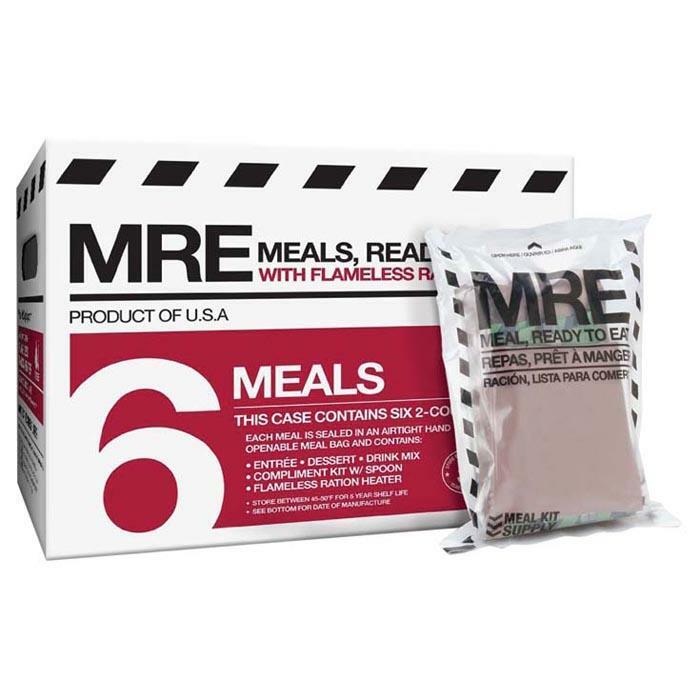 Each MRE contains an entree, dessert, beverage, 6" military spoon, instant coffee, creamer, sugar, salt & pepper, wet nap & napkin. 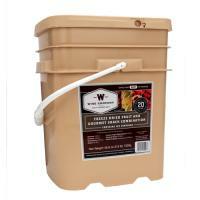 Use the flameless ration heater with 2 oz. 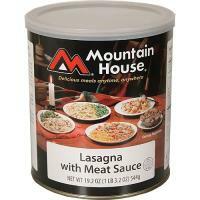 of water to heat the MREs, no stove or flame needed.